Sc. TBA Marvin Gaye on a 5"x7" Dragon Card reproducing a photo of Gaye at the piano. Digital Color Postmark. 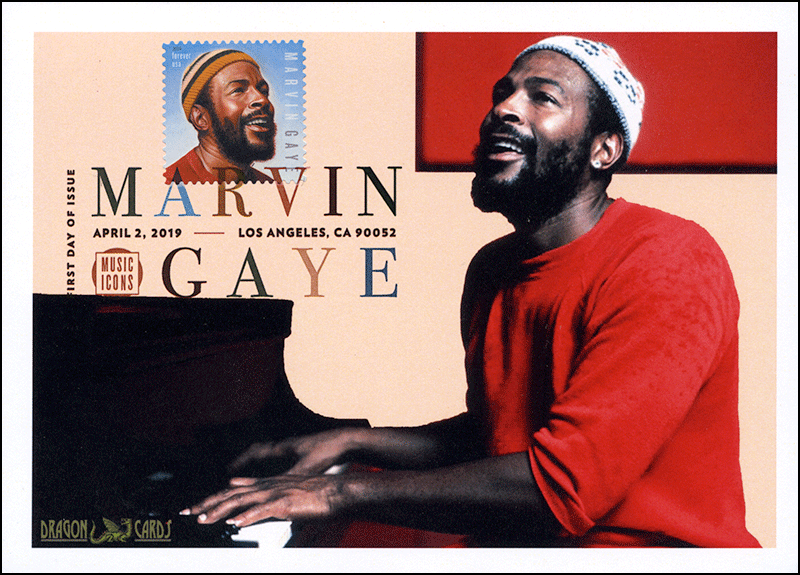 Great for a music-, rock 'n roll-, R&B- or Black History-on-stamps collection!